What better way to celebrate the onset of summer than by kicking off your shoes and jumping into a week filled with sandy adventures and alfresco breakfasts? Unwind with the sound of the ocean singing quiet lullabies on long starry nights, slowly wake to the dawn chorus drifting through open windows and let free range children roam without a care in the world but foraging for shells and making dens in the garden. Leave your worries at the door, this May half term it’s time to relax, recharge and restore. Carved into the cliffside overlooking the sands of Portreath beach, Galleon is the seaside retreat of every childhood dream. Just a hop, skip and a jump from rock pools, surf and legends of giants, here is a home where children can channel their inner Columbus and grownups can watch, glass of wine in hand, from their very own crow’s nest above the beach. Sip rich morning coffee looking out on dawn breakers, BBQ line-caught mackerel while bathed in a scarlet sunset and wind down as that glorious sea air slowly soothes the soul. Envelop yourself in the elements at simple, elegant Skyros this May half term. Perched high above the sea with views for days of islands and waves and birds playing in the thermals, this is a home where nature really is the star of the show. 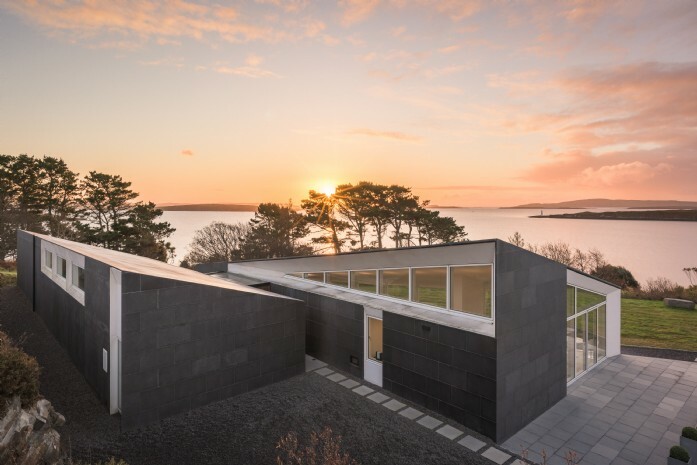 Clever architecture allows rosy light to shine through the house at the bookends of each day and minimalist design draws all attention away from technology to the shifting colours outside. Visit England’s prettiest fishing village just as it wakes from hibernation, has a good old stretch and is fresh for the rhythm of summer. 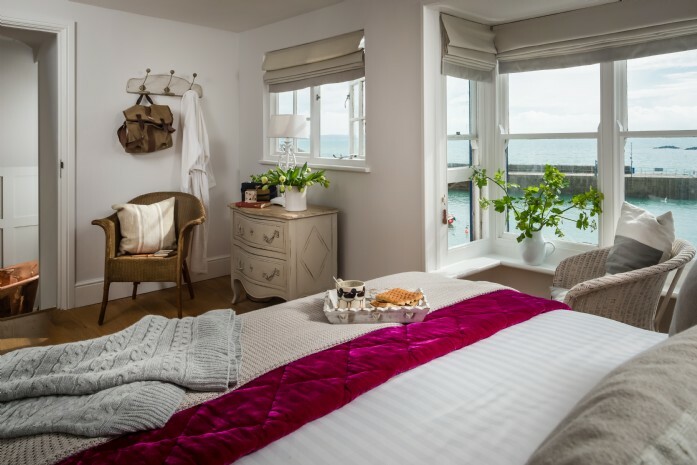 This fashionably European home perched on the edge of Mousehole’s quaint harbour is awash with crisp white walls, thick, textured materials and bold flourishes of gold. This is traditional seaside holiday in Cornwall, where ice cream for breakfast is encouraged, come opulent luxury. Top tip: take the grandparents so parents can sneak off for a glass of bubbly together in the gorgeous copper bathtub. It would seem as though every fairy-tale in the world was written about Hollyhocks. Spend some time lazing by the tinkling river in the warm spring sunshine and slowly but surely it will seem feasible that toads drive cars, badgers dress for afternoon tea and there are three bears discussing the best way to eat porridge around the kitchen table. And maybe, just maybe, at Hollyhocks they do. 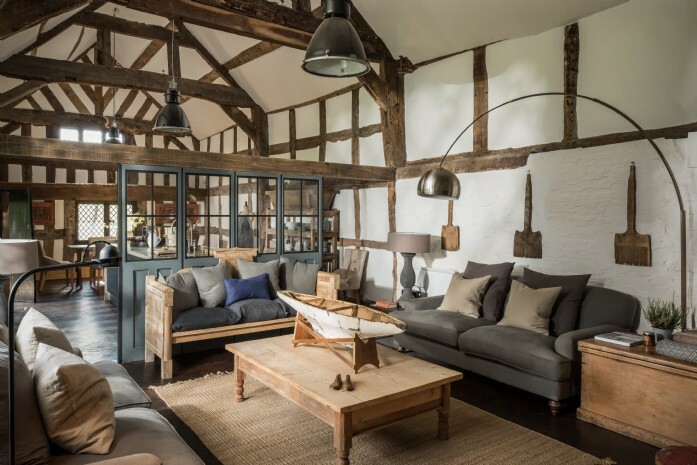 Here is a place where dreams come true and with cosy furnishings, plenty of outdoor space to talk to the animals and quirky features to boot, a Cinderella story might not be so far away. 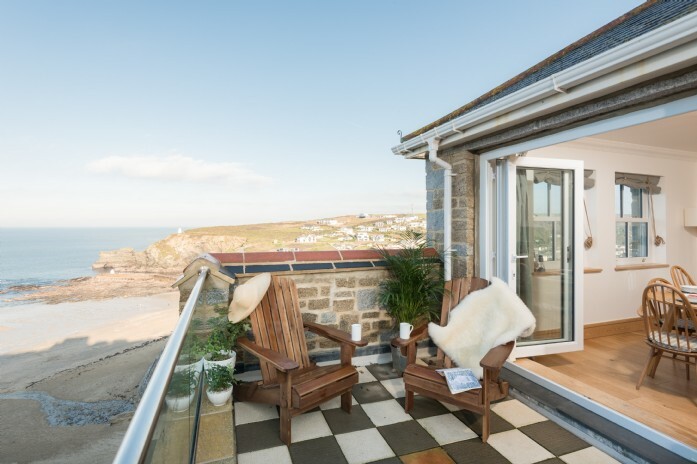 Dive into the true heart of Cornwall at this idyllic family home slap-bang in the middle of pastoral Poldark country. 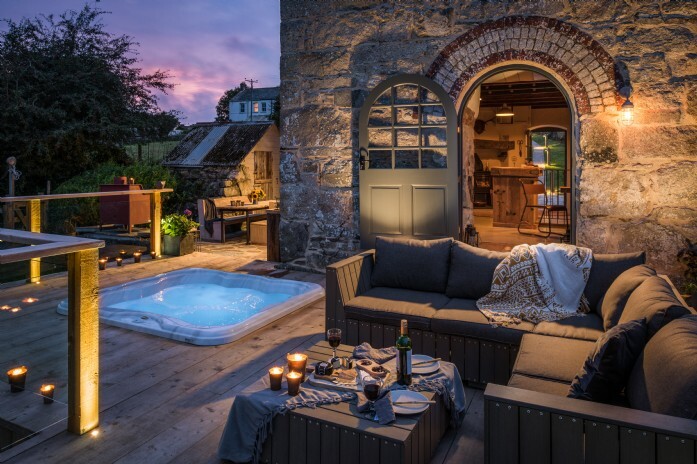 Opposites do nothing but compliment in this ancient engine house; the Grade-II listed exterior perfectly epitomises the spirit of Cornwall, while interior lavishness oozes with comfort and class. Stargazing is of the utmost importance at The Stack and with no surrounding light to spoil the view, skies hang like a sequinned canopy lazily thrown above skylight windows, alfresco dinners and drawn-out nights in the sunken hot tub.